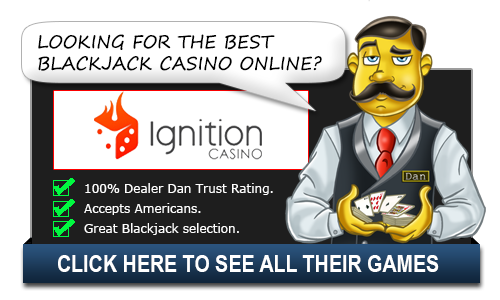 Classic Blackjack Gold - Play Online - Casino Answers! Classic Blackjack Gold is another gem from Microgaming’s illustrious line of online casino games. The game runs using a standard 52-deck card, which has to be shuffled before any game can start. The rules of the Classic Blackjack Gold are simple and straight forward, which partly explains its popularity. A player is allowed to split when the two cards are of the same denomination. The double down is also allowed for players and this applies to the worst cards held. The double down also requires the cards to be a hard hand with values of strictly 9, 10, or 11. Unlike the normal Blackjack, Classic Blackjack Gold does not allow a double down after the split has been done. However, the Classic Blackjack Gold allows players to have buy-out insurance. The insurance bet is deemed to be half of the dealer’s regular bet. The rules of the Classic Blackjack Gold do not allow for early surrender. The dealer in a game of Classic Blackjack Gold is required to stand on all 17. The Classic Blackjack Gold also has attractive design features. The game has gained positive reviews due to the convenient experience accorded to the players. Apart from the virtual table that is found in most of the blackjack software, there is also an enhanced casino ambience and sharp video graphics. The reviews of Classic Blackjack Gold have also been positive on the ease of use with both skilled and newcomer gamers able to enjoy the game. The demo version helps newcomers to learn the Classic Blackjack Gold without losing real money. In a game of Classic Blackjack Gold, the procedure is that the dealer is accorded a single card which is placed face-up. The blackjack stands out as the strongest hand and stands automatically. The rules of the game are such that a blackjack cannot be beaten but can only be matched in the game. The value of every face-card is 10 in Classic Blackjack Gold. However, for Aces, the value varies between 1 and 11. The dealers in a game of Classic Blackjack Gold are allowed to draw as many as nine more cards, which leads to an eleven card hand. The condition, however, is that the value of the card must not exceed 21. The condition, however, is that the value of the card must not exceed 21. If a given dealer is given nine extra cards but fails to make an eleven-card hand, that hand stands automatically. Further, the dealer has to stand on all 17 while malfunctions cause the pays and the plays to be nullified. In a situation where your opponent has a hand that is in excess of 21, and yours is dealt a hand with a value of 21 or below, then it is considered a bust for the opponent and you are deemed to have won. The odds for the Classic Blackjack Gold are 3:2 for the regular bets. In a situation where your opponent’s hand and your hand are equal in value, then the hands push and the regular wager becomes the amount refunded to you.